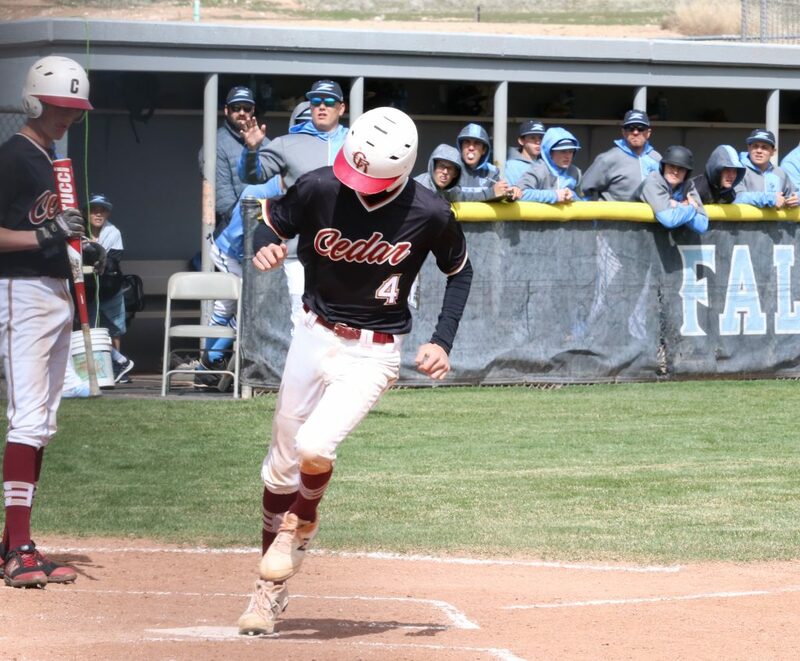 CEDAR CITY — The Cedar Redmen scored two runs in the top of the sixth inning to claim a 5-3 win over crosstown rival Canyon View Tuesday afternoon. 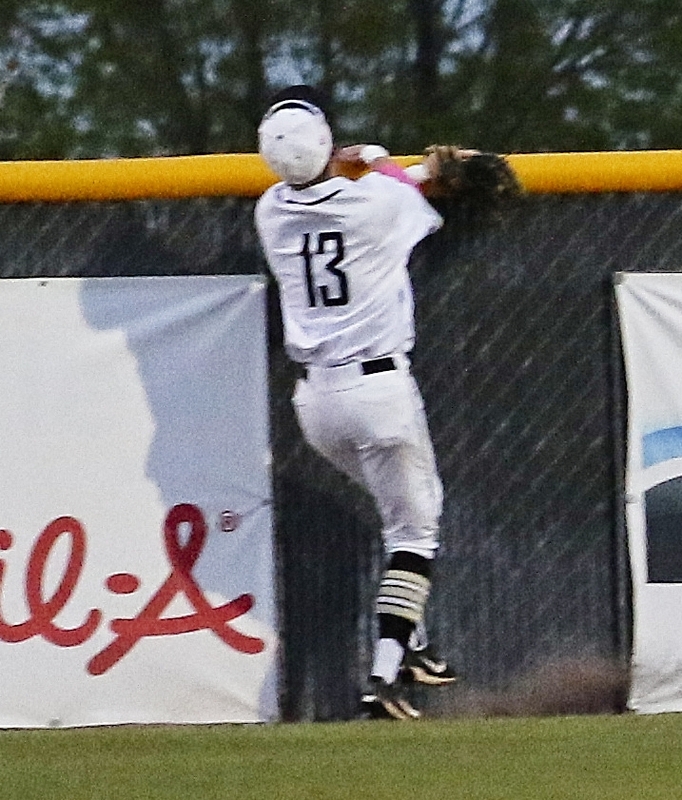 Canyon View scored all three of its runs during the bottom of the first inning. Carson Hopkins drove in two of the runs with a bases-loaded single to center field, and Dillon Bradshaw later came in from third on an error to give the Falcons an early 3-0 lead. 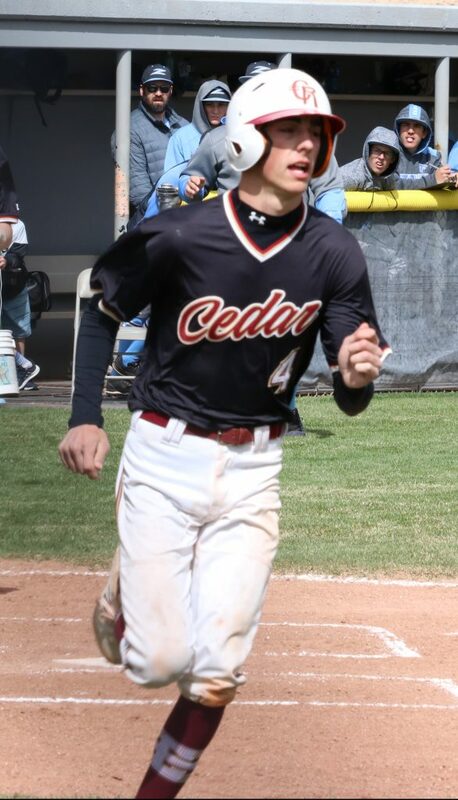 However, Cedar answered immediately by scoring three runs in the top of the second, thanks to a pair of walks and two singles. 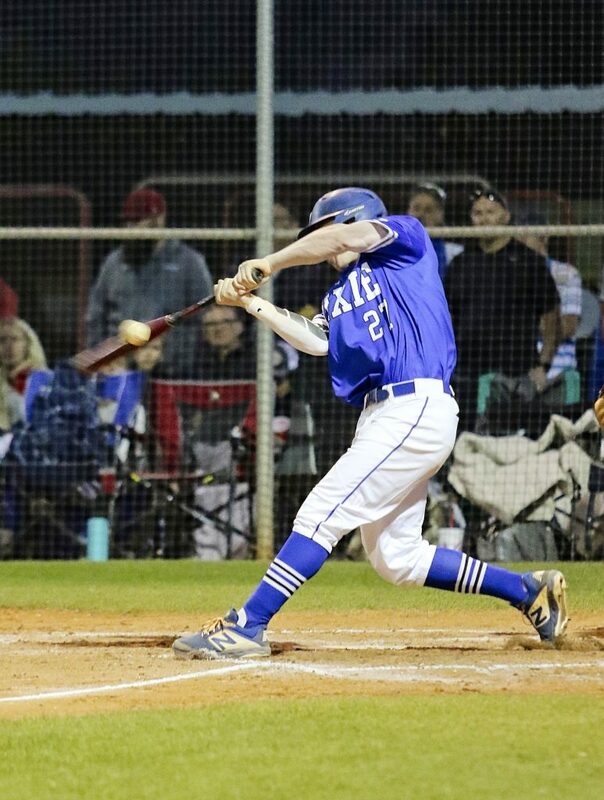 Tanner Esplin drove in teammate Kolby White with a two-out single to tie the game 3-3. Neither team scored again until Cedar took the lead in the top of the sixth. 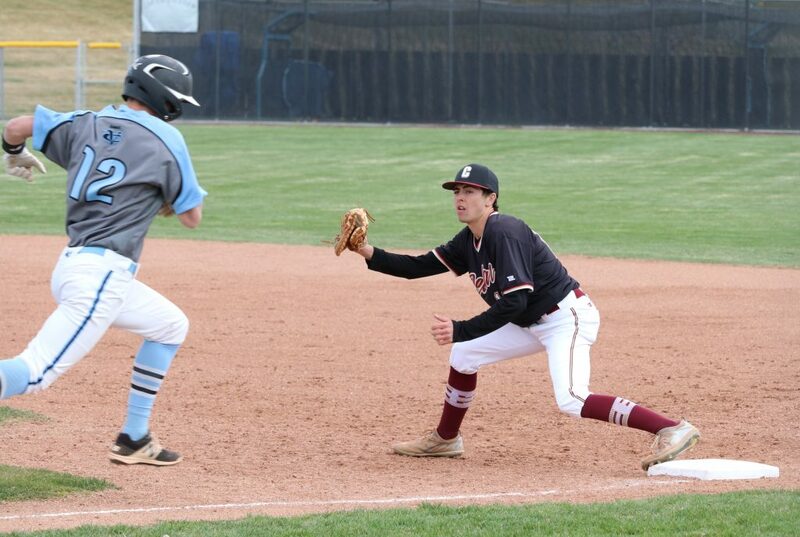 The first three Redmen batters hit singles to load the bases, after which Teague Speakman popped out to right field, bringing in McKrae Spencer, who tagged up from third. The next batter was Tyler Robinson, who grounded out for out number two, but another run came in on the fielder’s choice, giving the Redmen a 5-3 lead that would hold up to the end. 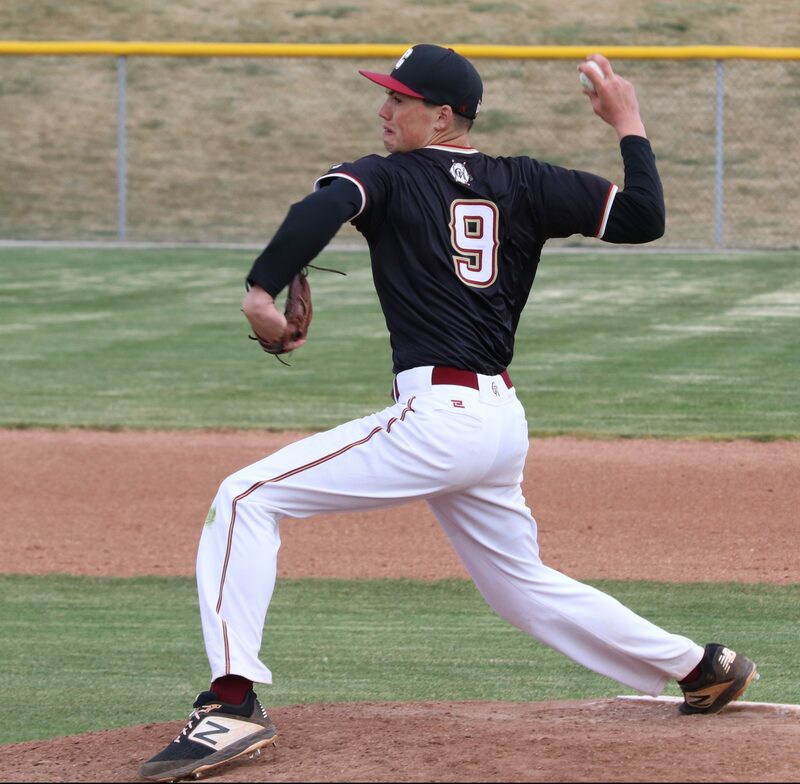 Winning pitcher Tanner Eyre lasted the entire game for Cedar, giving up five hits in seven innings while walking one and striking out five. “We came up with some timely hits and manufactured a couple of runs with productive outs in there to take the lead in the sixth,” Fieldstead added. 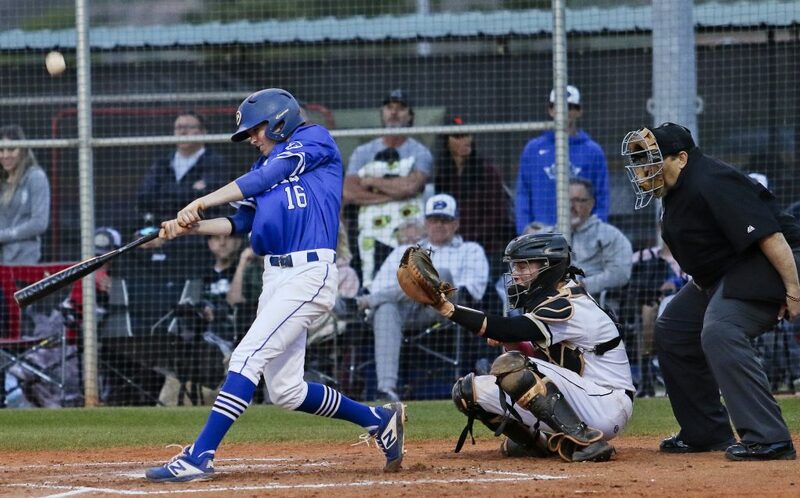 Hopkins, who went the distance for Canyon View, took the loss. He gave up seven hits while walking two and striking out eight. 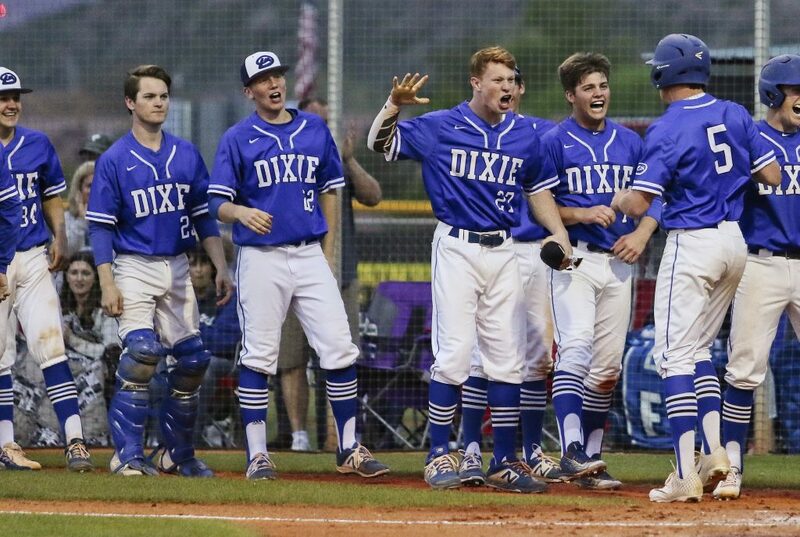 In other action Tuesday, Dixie won at Desert Hills, 3-0. 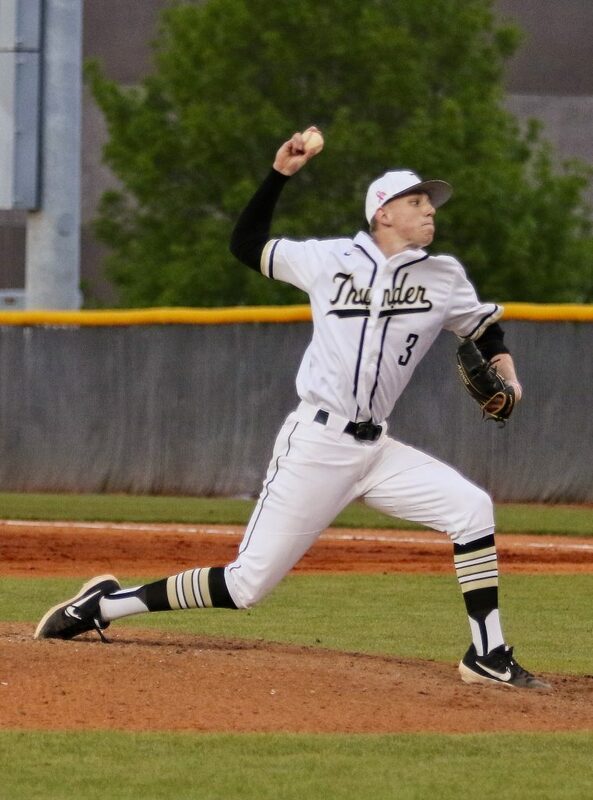 Both teams had entered the game with identical 2-0 region records, but Dixie was able to shut out the Thunder, thanks to a stellar pitching effort by Cooper Vest, who gave up just two hits in seven innings while striking out seven batters and walking zero. Reggie Graff got the Flyers on the board with a two-run homer in the top of the second inning. 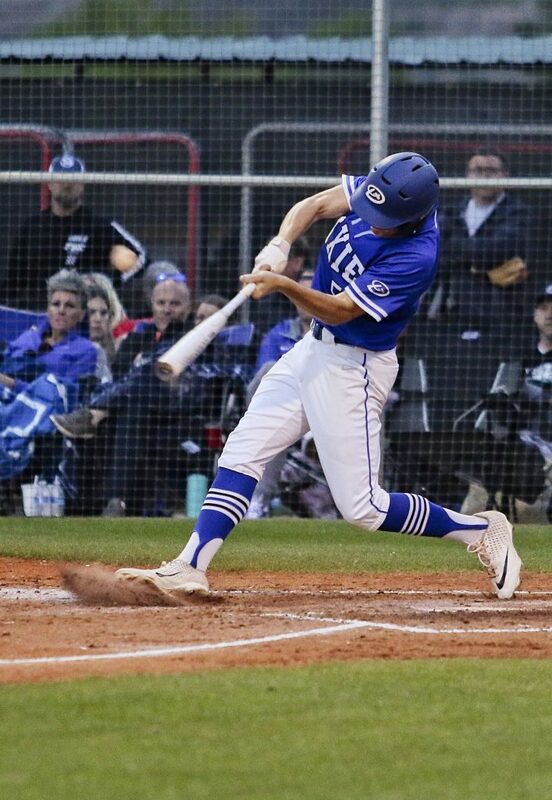 Vest drove in another run with a single in the seventh. 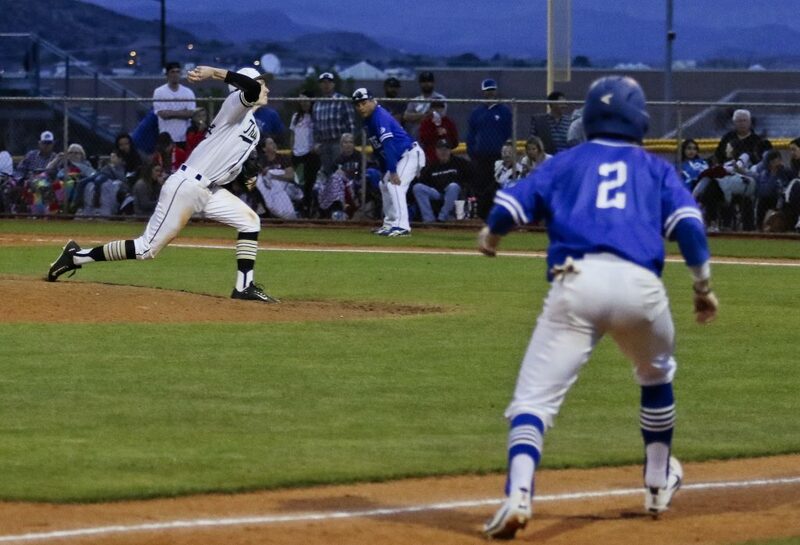 In addition, Snow Canyon won at Pine View, 10-0. 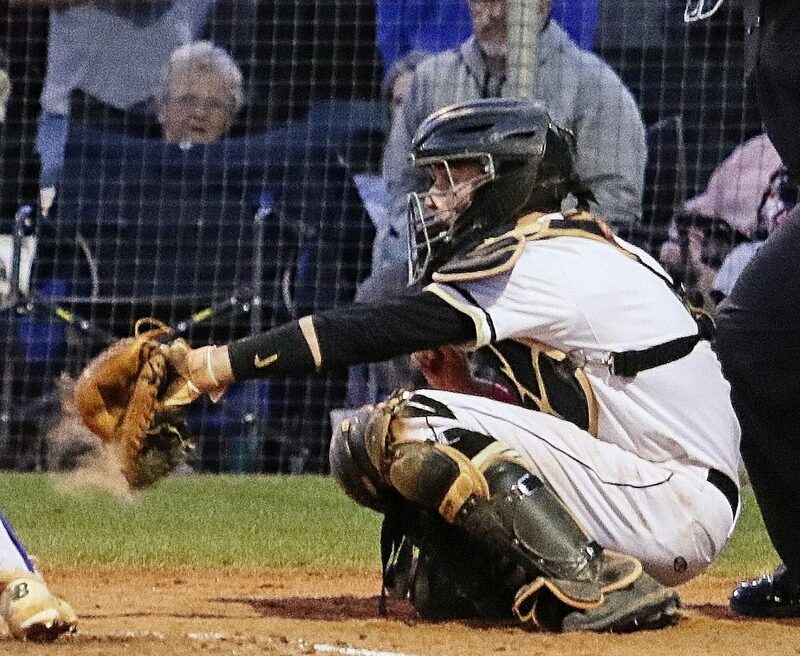 The Warriors pounded nine hits, including home runs by Carson Holyoak and Mason Strong. 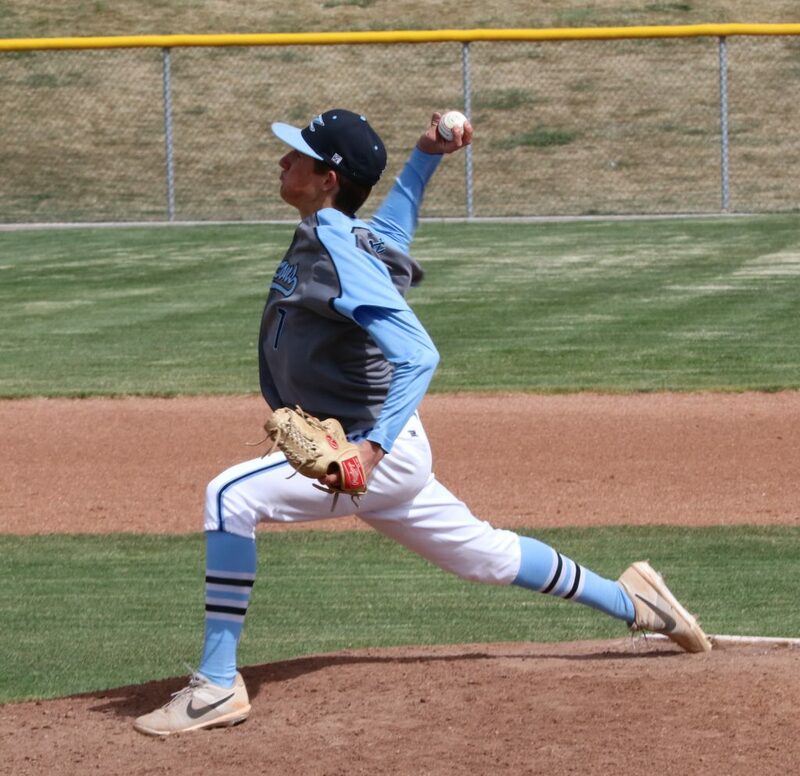 James Beck threw all five innings in pitching up the win on the mound. 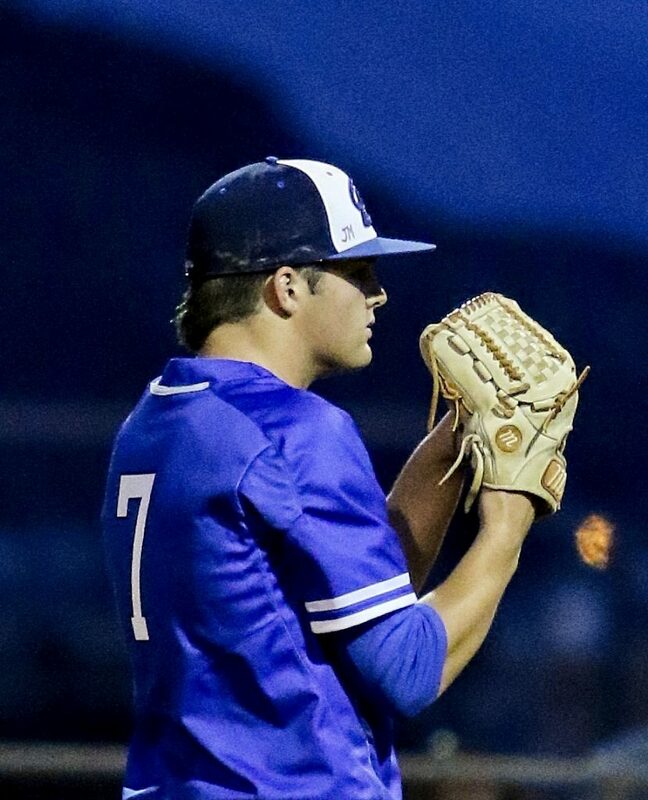 Beck surrendered just four hits in the shutout, while walking three and striking out seven. 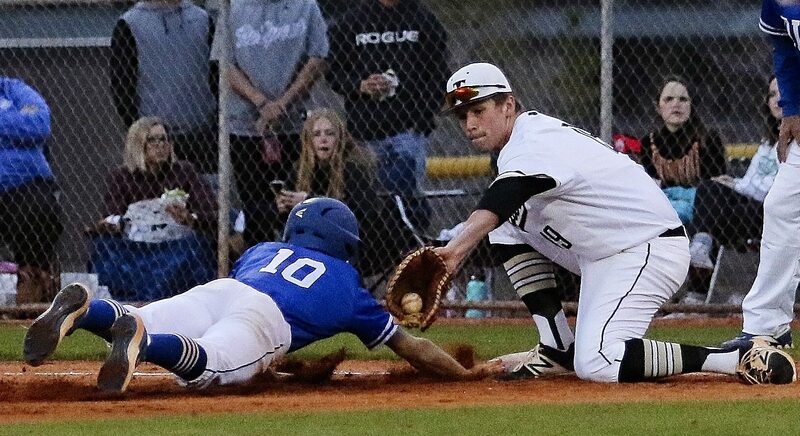 Friday’s schedule will feature rematches of Tuesday’s games on the opposite fields, with Canyon View playing at Cedar at 3 p.m., Desert Hills playing at Dixie at 7 p.m. and Pine View playing at Snow Canyon at 7 p.m. Hurricane has a bye.